MacGregor, part of Cargotec, participated in the Finland-Singapore Maritime Innovation camp which was held during 23 to 28 September in Singapore. The Corporate partners, MacGregor and PSA Corporation, presented the challenge of finding a way to reduce the stress level of stevedores whilst working onboard to students from Turku School of Economics at the University of Turku, National University of Singapore and Nanyang Technological University in Singapore. 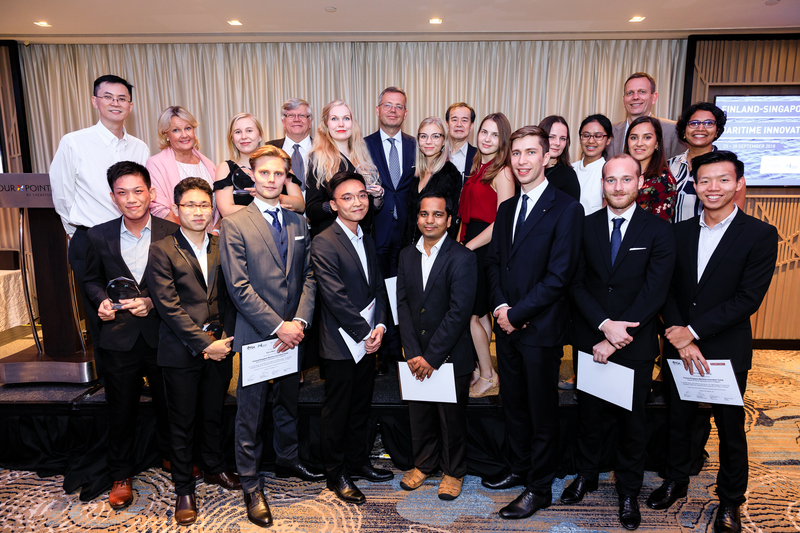 The students worked on the challenge during an intensive one-week camp, with the team presentations and results announced during the closing Gala evening on 28 September. The judging panel had a difficult task in selecting the winning team, with all of the proposed solutions demonstrating a high level of curiosity, creativity and determination as well as each team showing great presentation skills and the ability to create feasible business solutions. Members of the judging panel were: Chairman Kalervo Väänänen (Rector of the University of Turku); Riku Mäkelä (Counsellor, Innovation and Trade Affairs Embassy of Finland in Singapore); Michel van Roozendaal (President, MacGregor); Kenneth Lim (Chief Technology Officer of the Maritime and Port Authority of Singapore); Phinehas Tan (Assistant Vice President (Projects) of PSA Corporation) and Toh Ah Cheong (Executive Director of Singapore Maritime Institute, SMI). The judging panel evaluated the teams' proposals and solutions on their innovation and potential benefits, in addition to how well the team presented their case. 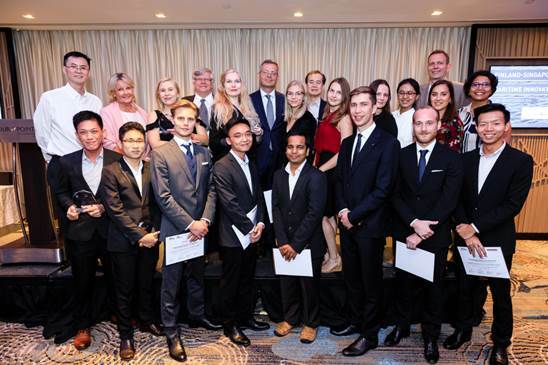 The winning team which best met these criteria comprised Henriikka Hakala and Anni Heiskanen from Turku School of Economics at the University of Turku, and Jonathan Jie and Lim Wei Da from the National University of Singapore. Additionally, three other teams received incentive rewards from SMI. Michel van Roozendaal, President, MacGregor says: "MacGregor is a strong supporter of collaboration initiatives with a number of projects ongoing. We encourage the sharing of knowledge and relationship building with universities, and other stakeholders, to support the development of innovative solutions that bring benefit to our customers and the wider maritime industry. Great to be doing so at MacGregor's homebase here in Singapore!" 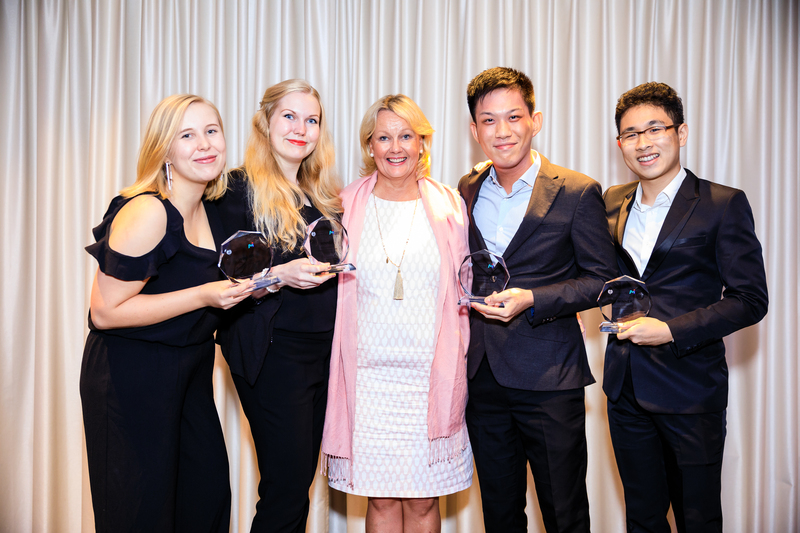 The winning team with HE Paula Parviainen, Ambassador of Finland to Singapore.